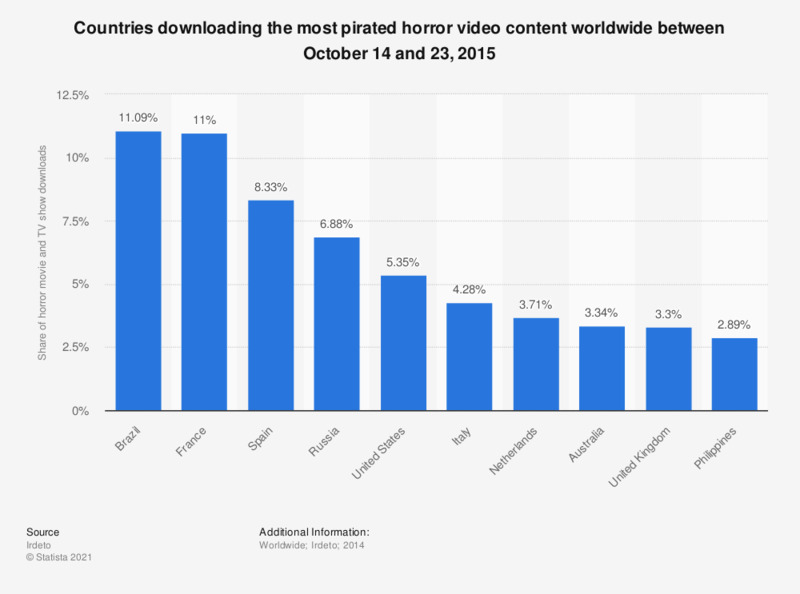 The graph shows the countries which download the most pirated horror movies worldwide between October 14 and 23, 2015. In the presnted period Brazil ranked first, having downloaded 11.09 percent of the global horror video content downlaods. Which of the following things do you see acceptable?